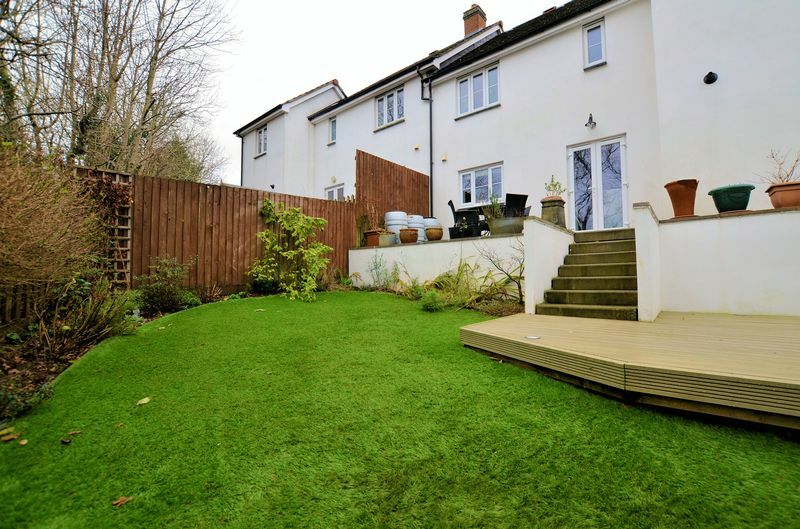 Overlooking a well maintained green area is this most attractive semi detached house with bags of kerb appeal with its stone faced elevations. Built approximately 10 years ago our vendors present the property to an exacting standard inside and out! 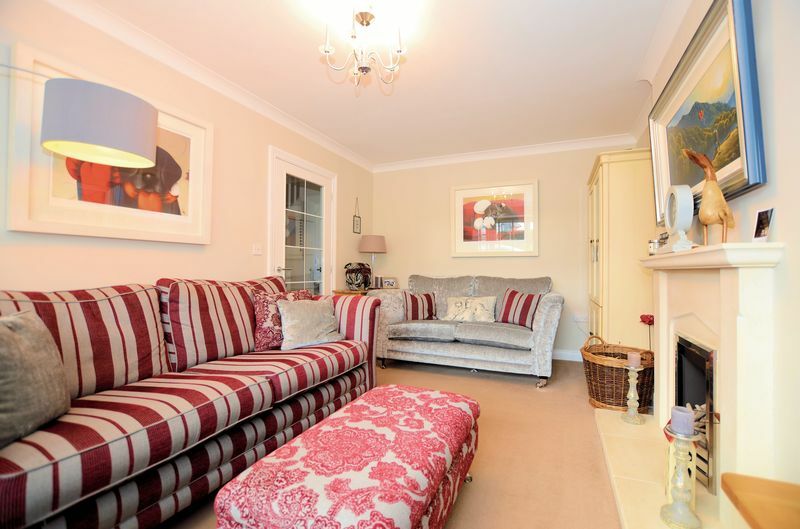 A perfect family home in a popular village location. You enter the property via a welcoming hallway with useful WC leading off. 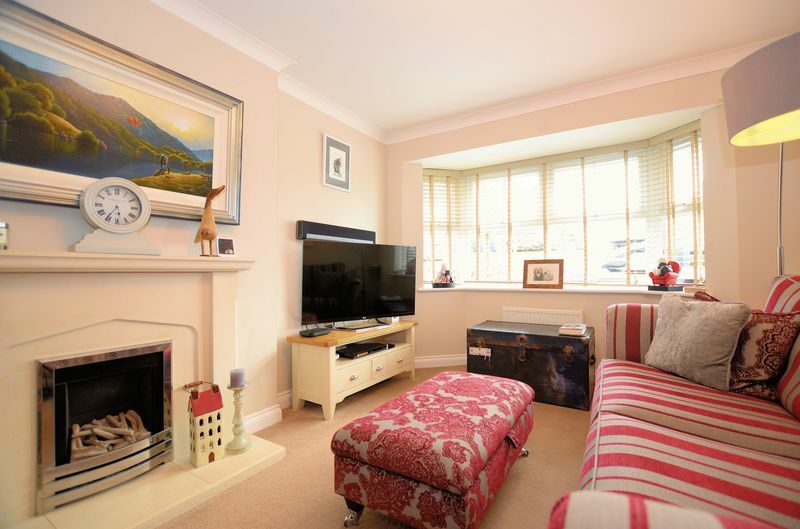 The front aspect sitting room enjoys a private view over the green through a large bay window. To one side of this reception room is a sandstone fire surround housing a living flame gas fire creating a lovely focal point. To the rear is a kitchen/dining room with French doors and window both enjoying a view over Bere Alston village. 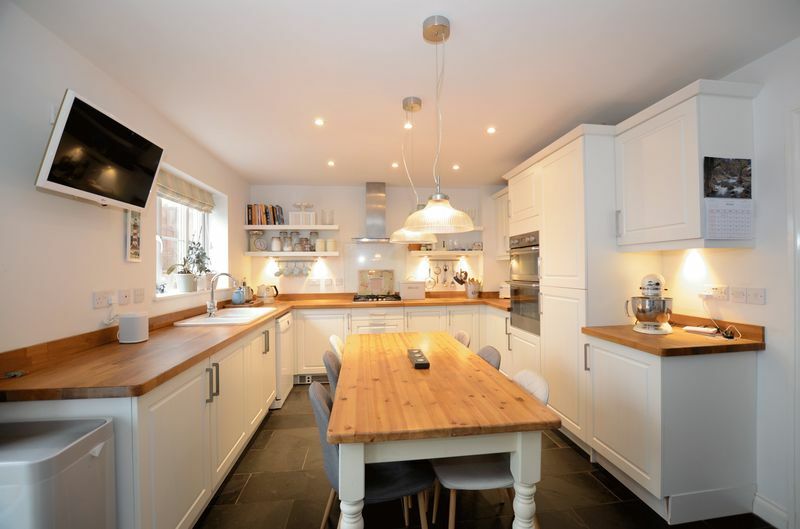 The kitchen area has a comprehensive range of cream wall and base units complete with ample worktop space and various integrated appliances. In front of the French doors is space for a dining table. An internal door gives access to the integral single garage with space and plumbing for a washing machine to the rear. 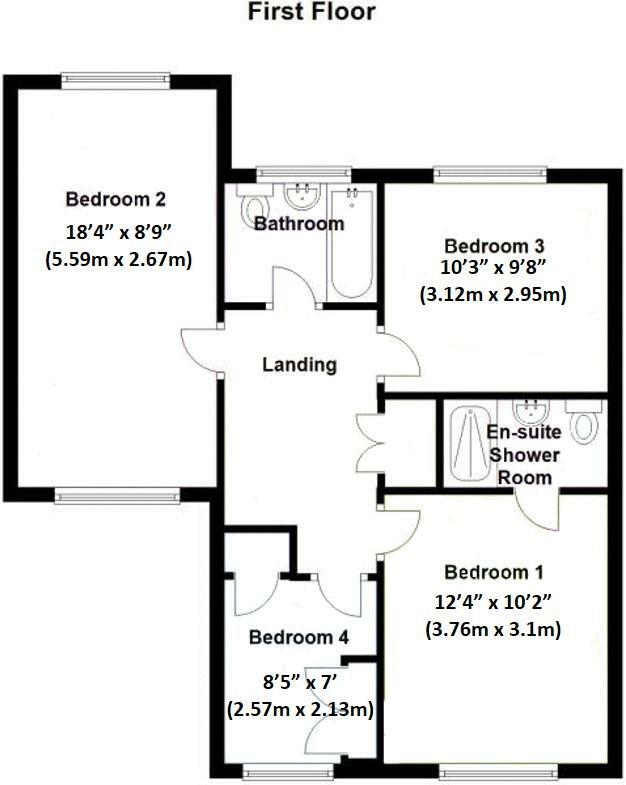 Situated on the first floor are four bedrooms and a family bathroom. 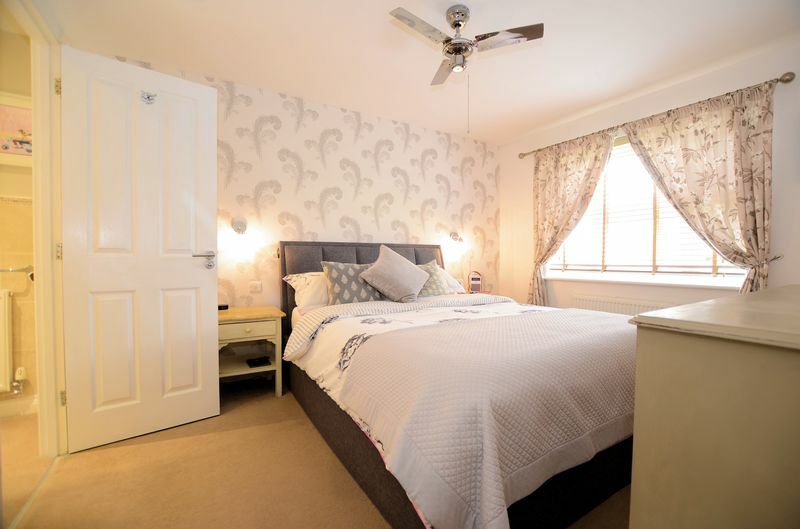 The master bedroom is front aspect enjoying a pleasant outlook with an en suite shower room and large double shower enclosure. 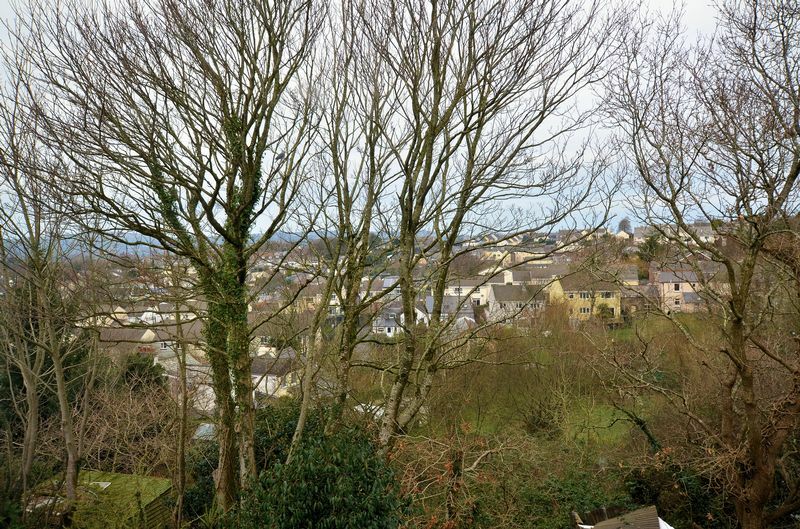 Bedroom two is a generous dual aspect double with a view towards Bere Alston village and Kit Hill beyond. This room has ample space for bedroom furniture. Indeed our vendors have created a dressing area ideal for guests at one end. 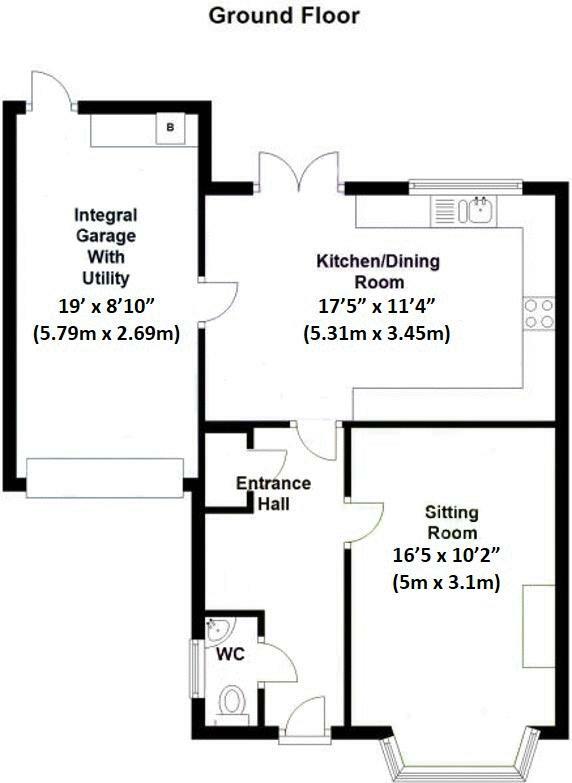 The third bedroom is a standard double room again with a view towards Kit Hill whilst the final bedroom is a single room ideal for bunk beds or for use as a potential study. 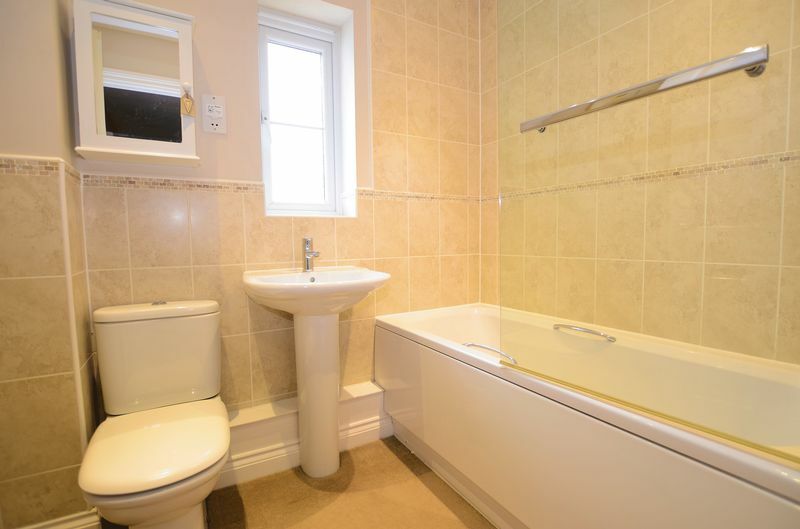 The family bathroom is fitted with a matching three piece suite including a shower over the bath. A pathway leads to the front door with storm porch over. 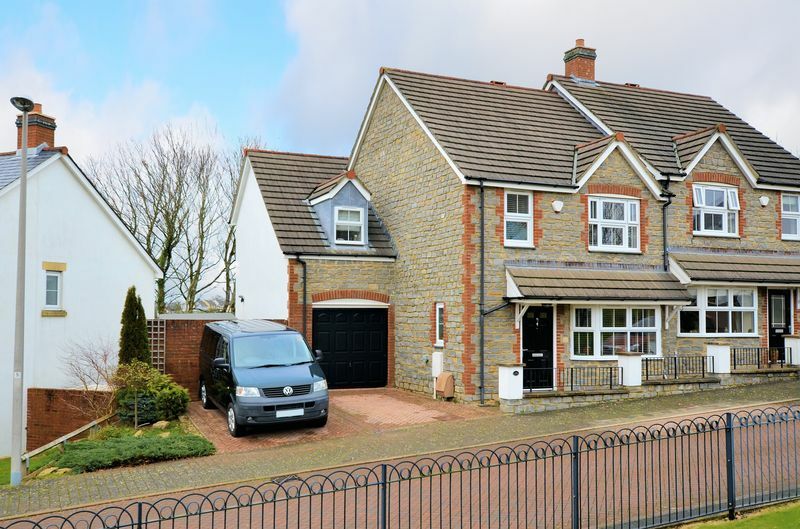 To one side is a brick paved double width driveway providing off road parking for two vehicles. A pedestrian gate gives access to the rear garden. Adjoining the kitchen/dining room is a full width patio perfect for outside dining. Steps lead down to the garden which has been designed by our vendors with low maintenance gardening in mind. Where there was once a lawn now has artificial grass flanked by flower boarders. To one corner of the garden is a composite deck with integrated outside lights. 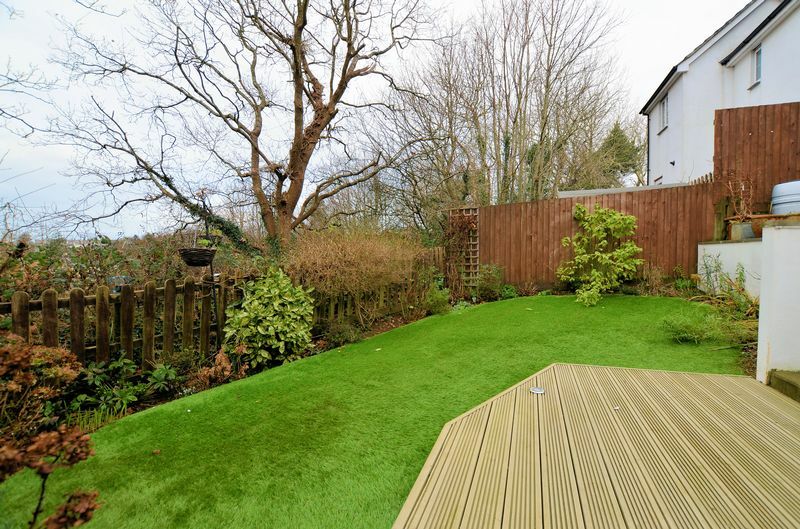 The rear garden is enclosed to all sides by privacy fencing, perfect for children and pets. 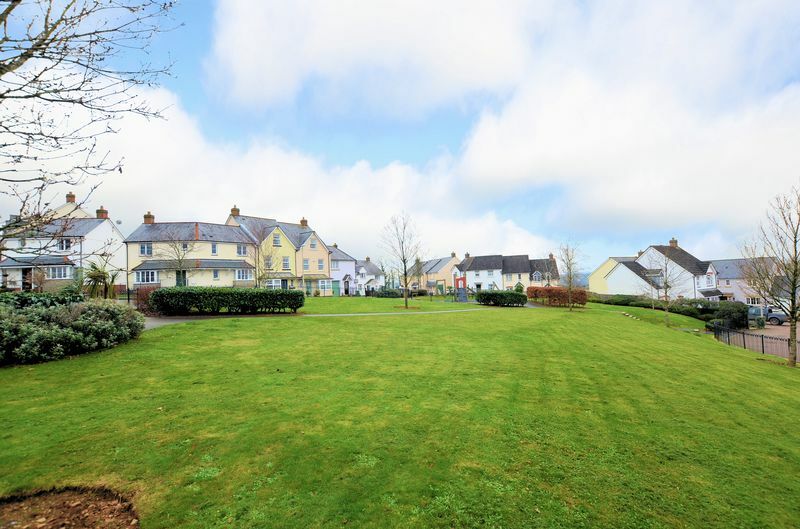 Immediately in front of the property is a large green area with a play park to the far side. 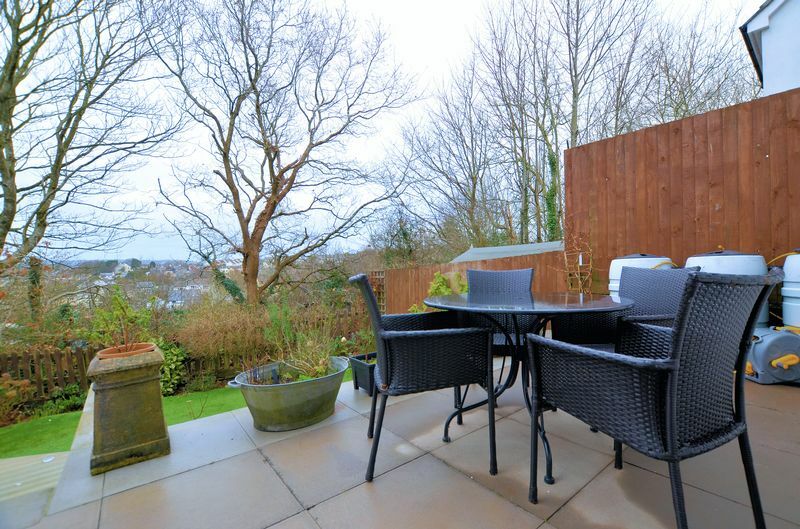 This area is enjoyed by the residents of Pentillie View and is well maintained by contract gardeners. 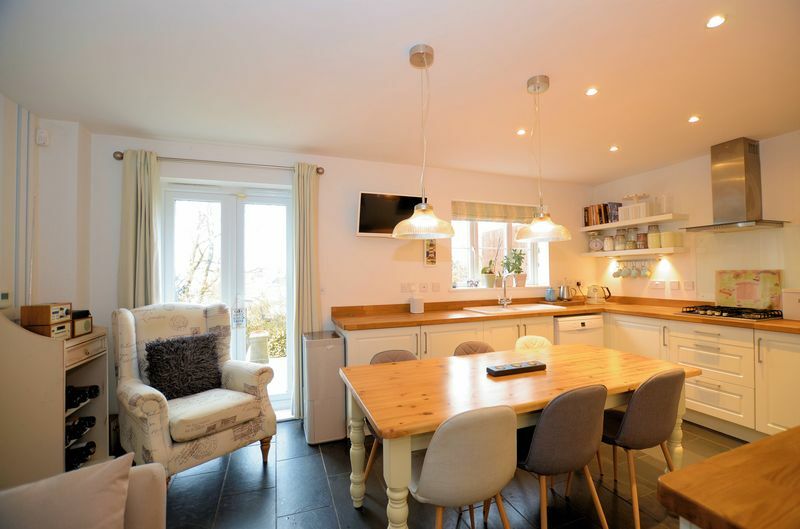 To sum up this property would suit young and old alike looking for a sizeable but low maintenance home. The property owners along with all other residents of Pentillie View contribute towards the maintenance of the green area and play park.